Women in the United States gave birth last year at the lowest rate in 30 years, a trend that could weigh on economic growth in the coming decades. 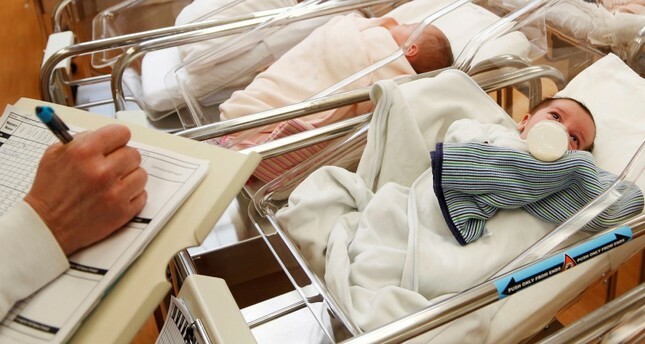 The Center for Disease Control and Prevention's National Center for Health Statistics said Thursday that the number of U.S. babies born last year fell 2 percent from 2016 to 3.85 million, also a 30-year low. Births have fallen for three straight years. The fertility rate dropped 3 percent last year to 60.2 births per 1,000 women ages 15 through 44. Kathy Bostjancic, an economist at Oxford Economics, a consulting firm, said that roughly 10 years ago, the number of Americans working or looking for work was growing about 1 percent annually. With birthrates declining, that figure has since fallen to about a 0.3 percent growth rate. That essentially acts as a 0.7 percentage point drag on the United States' long-run growth. The U.S. economy has grown at a 3 percent average annual rate since World War II. Yet it hasn't reached that pace for a full calendar year since 2005. The baby boomers first reached retirement age in 2008.